The City of Seattle took our building via eminent domain for the viaduct and waterfront projects. We searched high and low, but were not able to find suitable space in Seattle. Many of our clients had expressed displeasure with our previous location. Indeed, getting in and out of Seattle has become problematic. Our new space on Mercer Island offers a more accessible location for clients all around the Puget Sound. It takes approximately thirty seconds to arrive at our building after exiting I-90. There is less traffic, making for easier travel, and we have plenty of free on-site parking. We were able to build out our new space to perfectly suit our needs. We have ample room to grow and the building is equipped with an elevator. 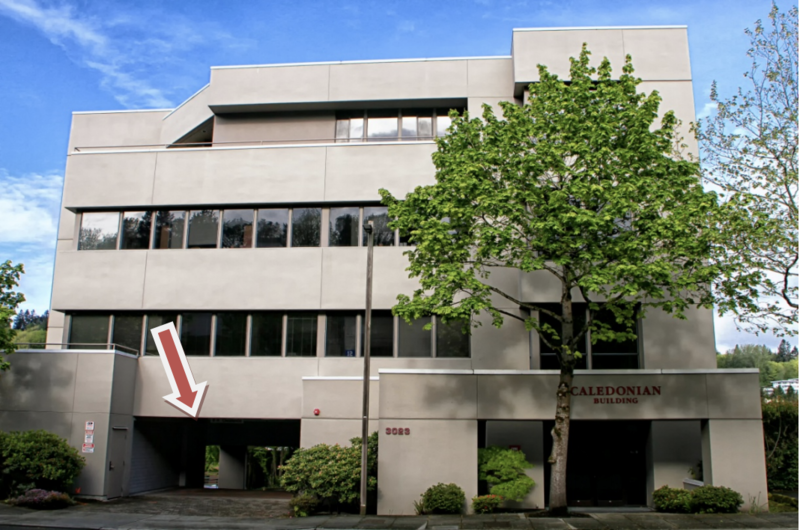 Our office is located in the Caledonian Building (between Early World Montessori and Trove Interiors) and will be located on the right hand side. Parking is free in the garage underneath our building. There are two marked “client” spaces, but if they are full, please feel free to use any space marked “300”. You may also park on the street – there are usually plenty of spaces available. Please note – If mobility is an issue, we recommend parking on the street. If no street parking is available, please give us a call and we will happily assist you. Contact Summer Kamm, our front desk coordinator, at (206) 583-0155 ext. 0 or select ‘Summer Kamm‘ on our contact page with any questions or concerns.